Paul was nice enough to take photos of me in the very casual outfits I threw together so I can show them to you all, even though he was taking photos for his work too. I love casual and comfortable looks. 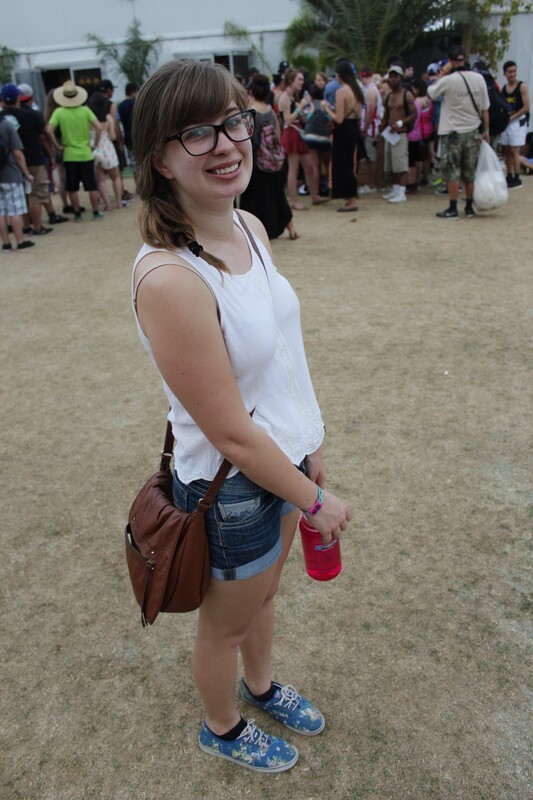 Paul took this photo when we were listening to Aloe Blacc, the first set we caught. Notice that this is the second Nectar top. I love Nectar. They’re not sponsoring this; I just think they rock. Also, about one-fifth of the girls there were wearing this hat. My mom gave me this shirt a few days before Coachella, bless her heart. I’m spoiled, I know. 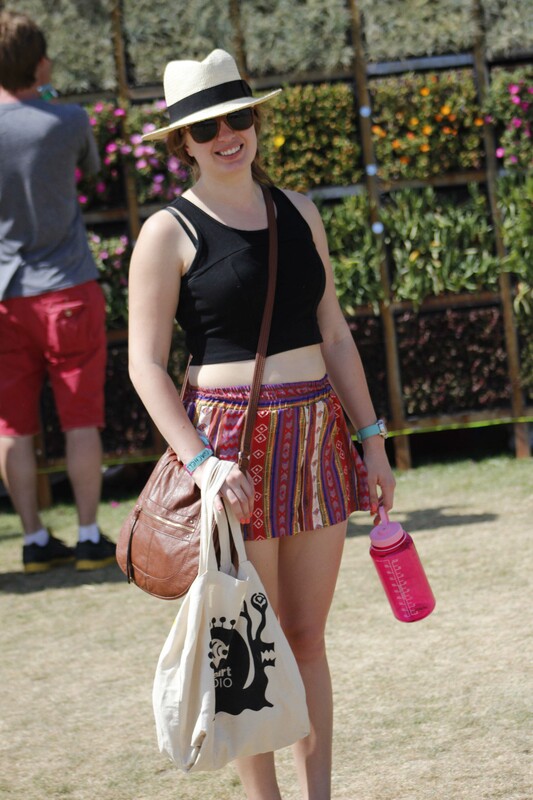 It was super comfortable and light weight, making it perfect for a day in the desert. The floral print is nice too. I’ll be honest, I am nervous about sharing this last picture. I’m not fishing for compliments, but I’m just saying that I felt way better wearing this outfit than seeing the photo. My belly is showing and it makes me feel funny. Women come in all shapes and sizes and I’m trying to understand that if I don’t judge others by their looks I shouldn’t judge myself that way either. So no name calling, please! Not pictured are the super comfortable green printed pants I borrowed from my boyfriend’s sister to wear at night and the Frida Khalo print shirt I wore over the black crop top when the temperature went down. 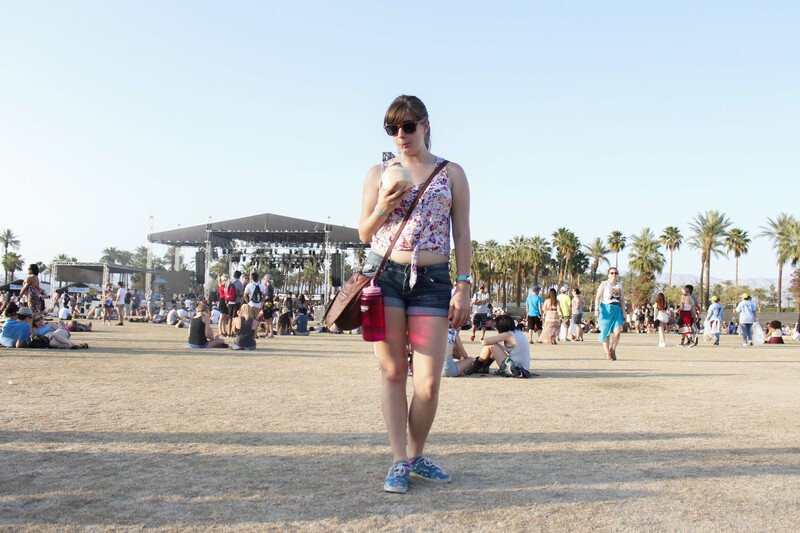 I hope you guys enjoyed seeing my relaxed take on Coachella fashion! You look great! I have never heard of Nectar. Need to check it out!